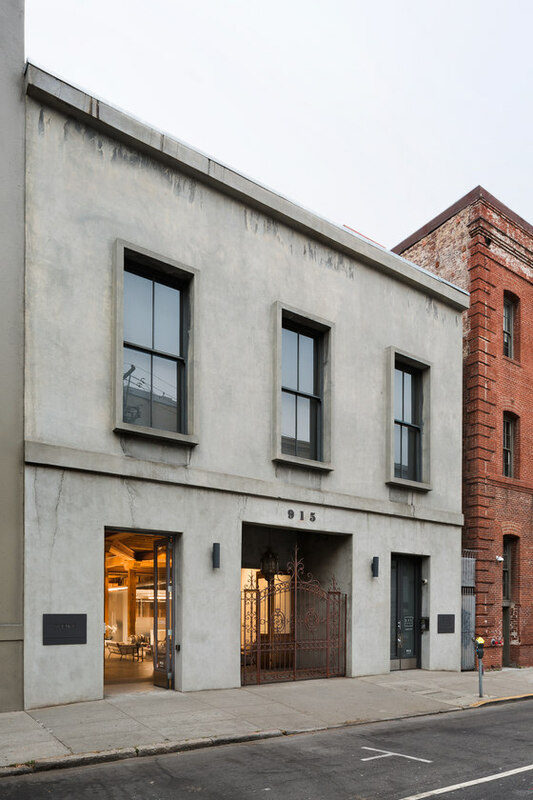 Upon entering this 5,000-square-foot space, one’s mind might not immediately jump to the quaint yet resonant past embedded in the bones of this historic Battery Street location. 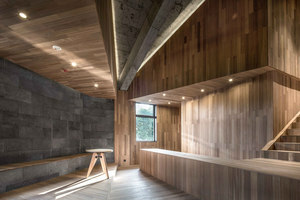 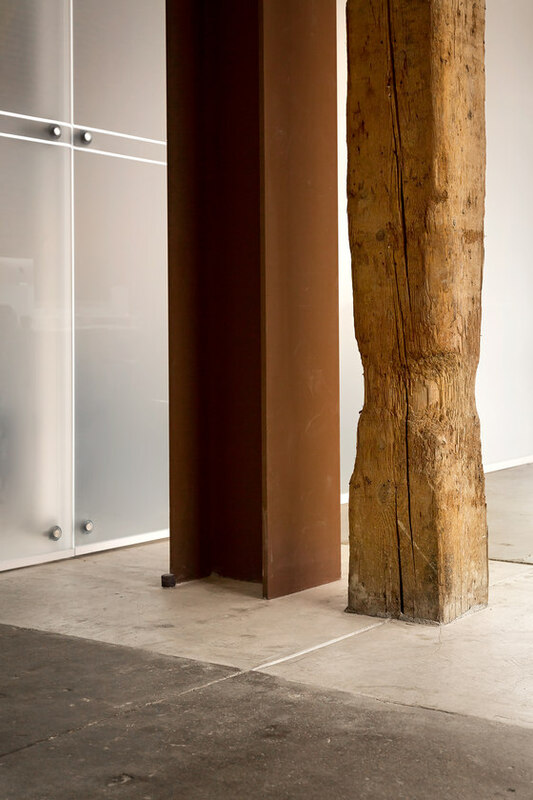 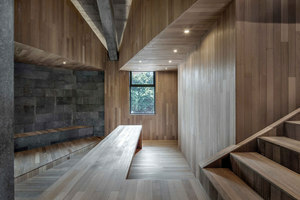 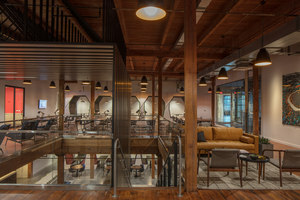 In fact, if not for the humble design elements including Douglas fir beams, high ceilings, and stall-like enclosures, there would be no indication of its original purpose. 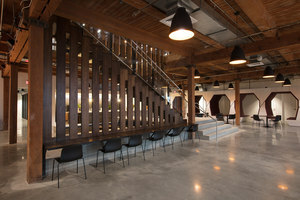 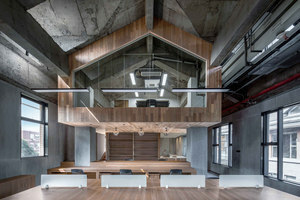 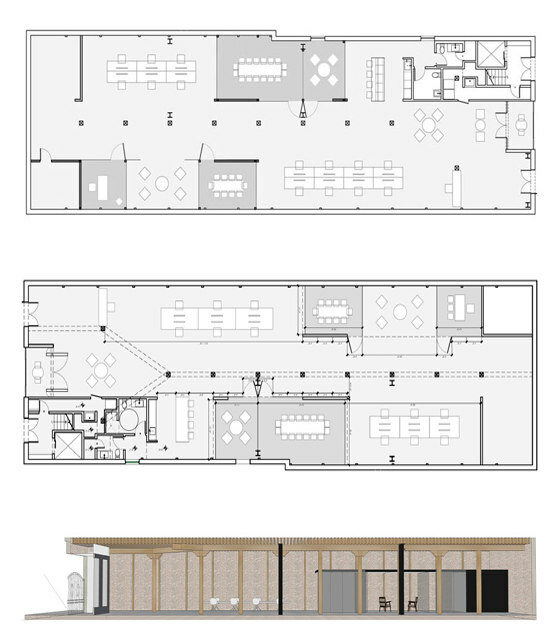 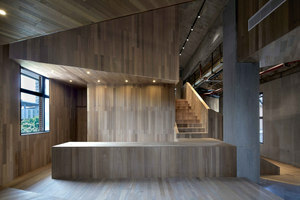 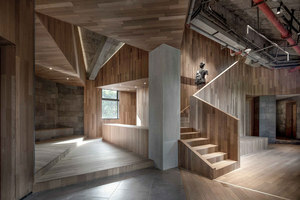 The spare, open layout contrasts with semi-transparent conference rooms that recall the horse stalls of the past. 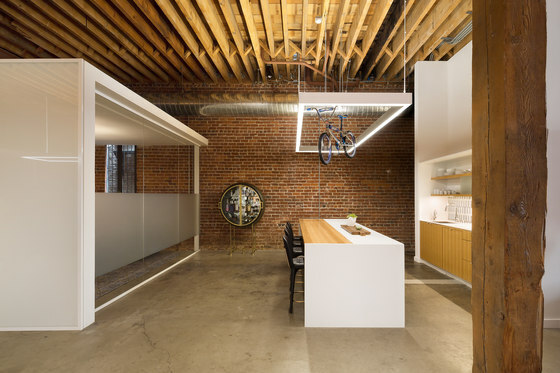 The space contrasts rough with sleek, and formal with informal in its modest, yet deliberate design. 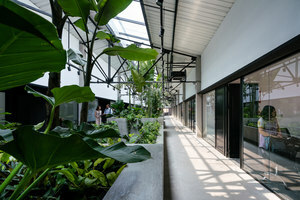 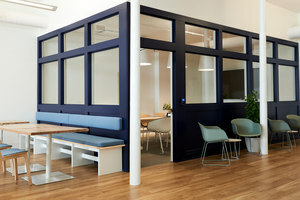 Each glass enclosure creates its own unique environment, while glass partitions allow natural light to reach into the depths of each individual compartment. 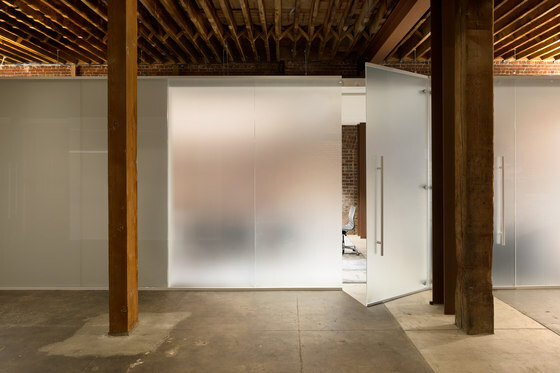 Satin etched glass, a romantic nod to the fog that rolls in from the Bay, works to absorb and reflect the surrounding textures of wood and brick, camouflaging themselves into the rustic structure while offering an element of privacy to its occupants. 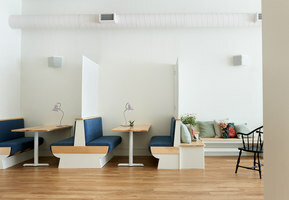 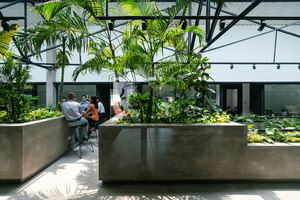 Relaxed lounge furniture, colorful abstract rugs, and a large kitchen island that acts as a communal area bring a sense of home and intimacy into the workplace, creating a unique work-life balance: warm, subtle, focused, and clean. 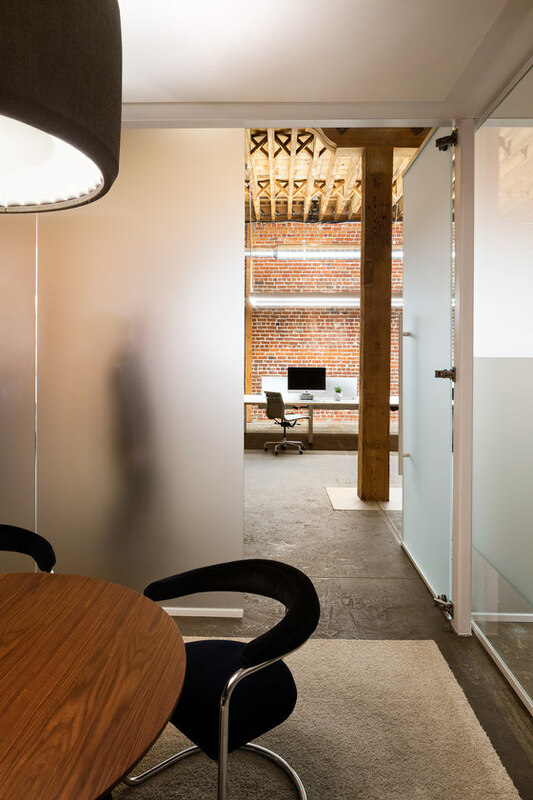 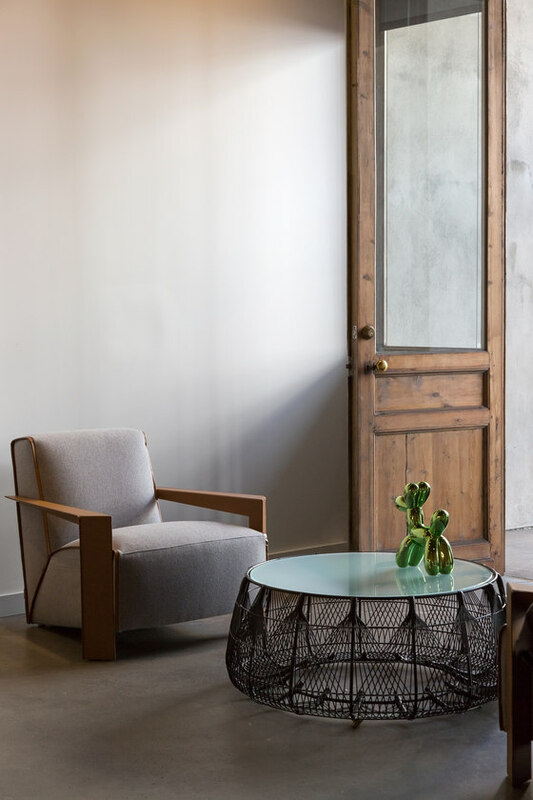 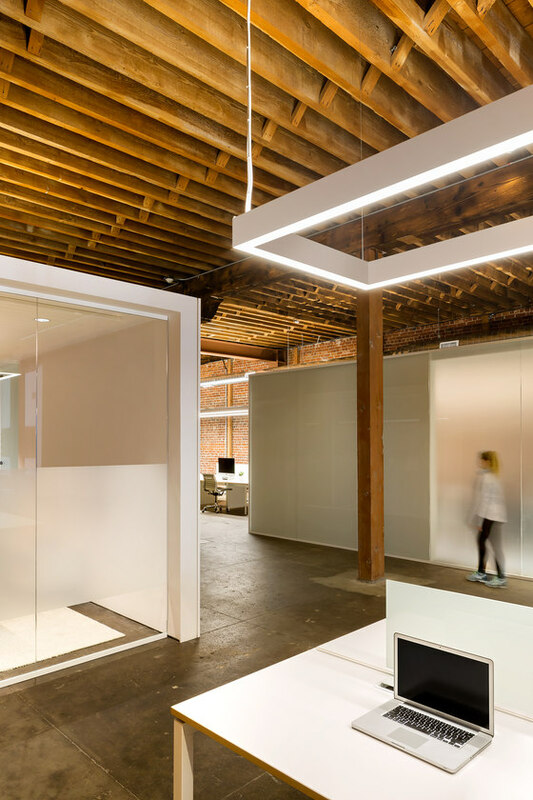 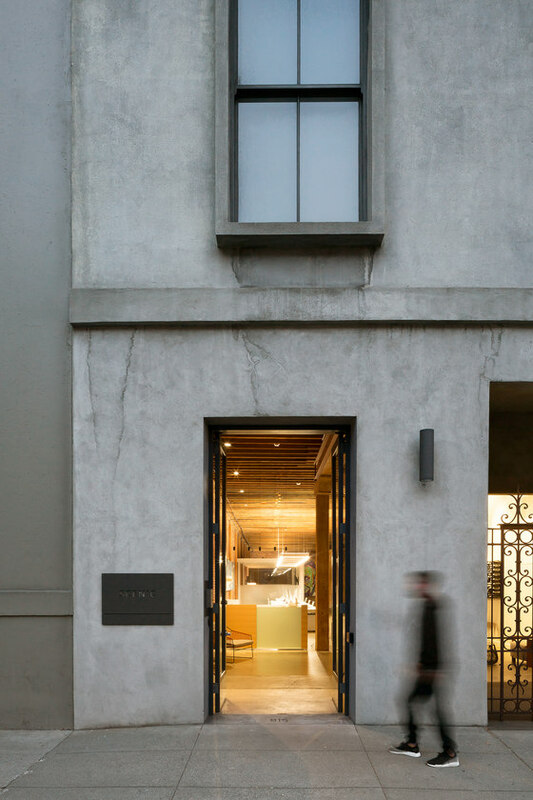 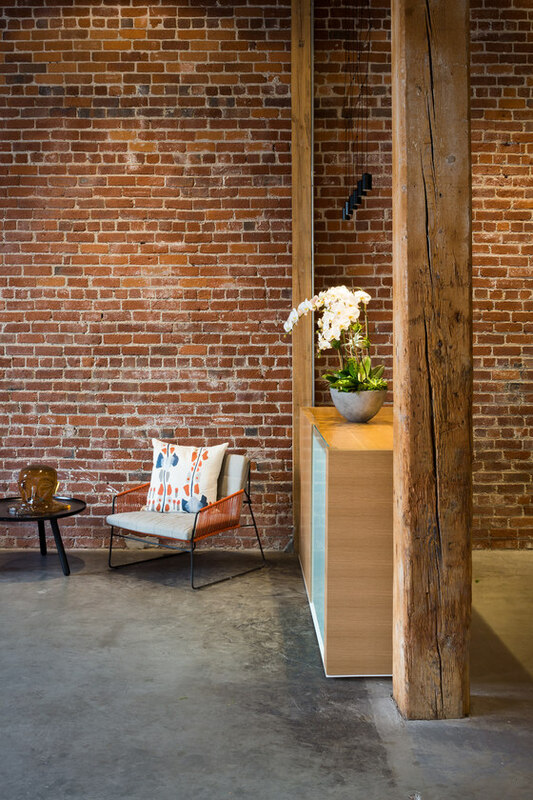 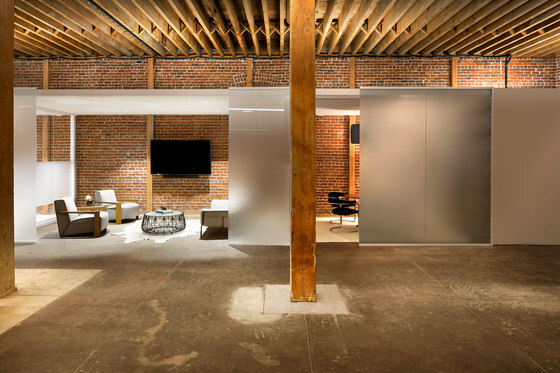 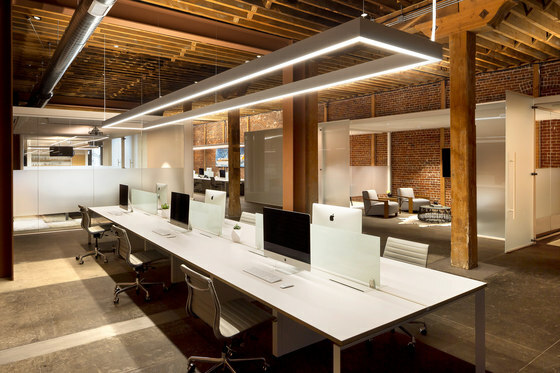 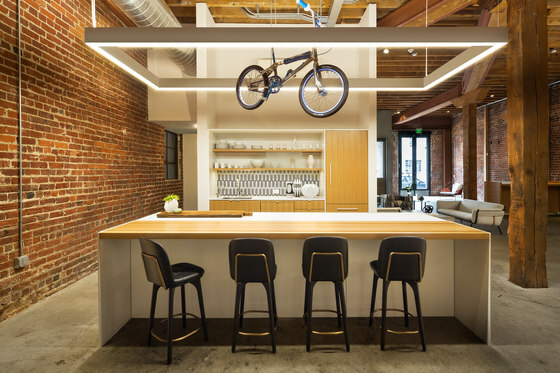 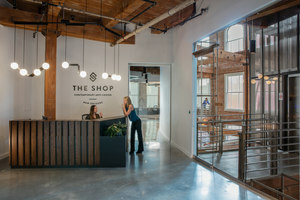 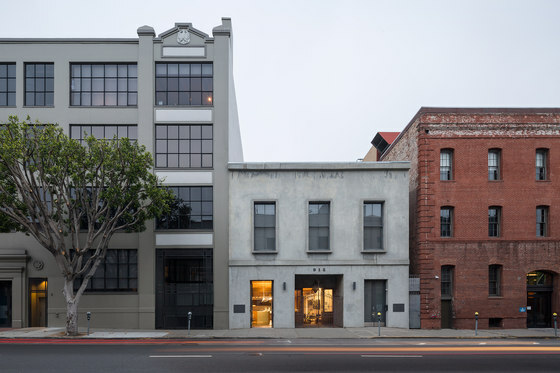 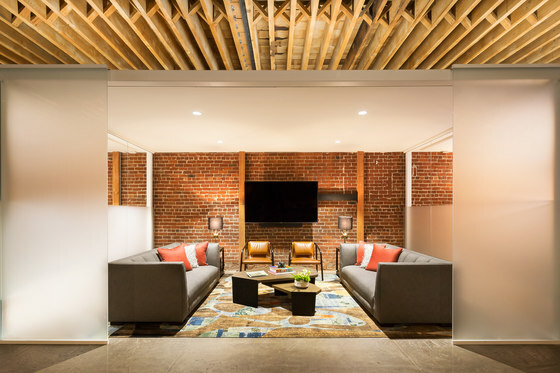 The masonry wall, now accented by clean, minimal partitions, culminates in a space reflecting San Francisco’s history, while highlighting the modern evolution taking place in the city.